Every day, workers around the world are risking their lives as they are exposed to the risk of flash fire, electrical arc flash and molten metal splash. In the split second when such a dangerous situation does occur, providing the right FR clothing can make the difference between avoiding a disaster involving serious injury or death. FR clothing and other PPE should be provided as a last line of defense in the event there is an accident and to ensure workers are protected from harm which can result in severe injury or even death. TenCate Tecasafe® plus is engineered to provide unbeatable electric arc and flash fire protection for electrical, petroleum and gas workers, utility lineman, foundry men, welders, oil refinery workers, and other professionals working in the most hazardous of workplace environments. The Tecasafe plus materials lasts twice as long as FR treated cotton fabrics. Yet our soft and lightweight fabric provides unmatched comfort. It is also comforting to know that our fabric's inherent protection will never wash or wear out. Constructed from a tri-blend of 48% modacrylic, 37% lyocell and 15% aramid, Tecasafe plus is a soft, lightweight fabric that is extremely comfortable to wear whilst providing the end user with superior inherent FR protection that exceeds the NFPA 70E and NFPA 2112 FR performance standards. The Elliotts FR Safety Workwear range is constructed using Tecasafe plus is carefully crafted to create the highest possible FR protection for worksite personnel. The Tecasafe range is sewn with Nomex FR threads, all seams are over locked and then top stitched, all stress points are bar tacked, no metal components, ergonomic design and fit for greater freedom of movement and AS4836:2011 compliant 3M 8935 FR reflective tape. Elliotts is an Australian based manufacturer and distributor of world-class quality safety gear servicing the Australasian market. 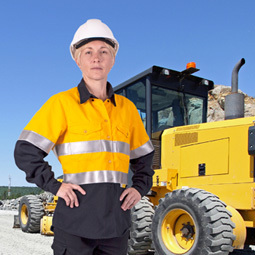 Elliotts take care to only supply quality protective clothing and equipment that protect people from harm on a daily basis. Products include protective clothing for fire fighters, hazmat, chemical splash, the metals industry, wet and cold weather and ArcFlash. Products also include personal protective equipment from Pyramex and PureSport Hydration products. For more information visit www.elliottaustralia.com.